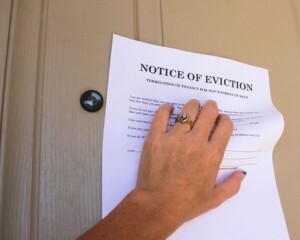 Arizona’s lawmakers recently passed a rental law that would shortcut the eviction process by allowing police to immediately eject any occupant not named on the lease. The bill now awaits the Governor’s signature. While proponents described their intent as a way to help tenants whose guests won’t leave voluntarily, the language of the bill is so general that opponents fear the scope may be interpreted as much broader. Some fear that the law will be used to discriminate against minority tenants. The controversy stems from the simplicity of the language as well as the interpretation of the phrase “the tenant or the landlord.” Some take this ‘either/or’ language to mean that the landlord could call police to eject a guest over the objection of the tenant. If so, then there is no specific time limit carved out for visiting family members or other short-term house guests, who suddenly could find themselves out on the street. The bill is silent on what would happen to the ejected guest’s personal property, or if criminal charges would be filed. Although the law is entitled “Removal of guest; notice“, there is no prior notice provision included. It appears the purpose of the bill was to clear the way for immediate policy intervention, where otherwise officers may feel a dispute of this nature is outside their jurisdiction. However, it is unclear whether the law would preempt a lease agreement that allows guests to stay for any certain period of time. Local news agencies have reported protests by tenant advocates who are asking the Governor to veto the measure, which passed both chambers by a healthy margin. where can I verify if this law has been passed?